Fall footwear is one of my favorite splurges. My husband doesn’t understand how one person needs so many pairs of boots, but I assure him that they all serve a purpose (they keep me stylish all season long)! This season’s trends threw caution to the wind. The bootie, moto and over the knee boots are your way to make a statement. Here are my picks for the boots you should have on your feet this season. These babies will not disappoint when you rock them with a bare leg. If the weather outside is frightful, you can always reach for a stocking to add a little extra warmth. You can also grab a pair of skinny jeans, and your booties can be the highlight of your outfit. 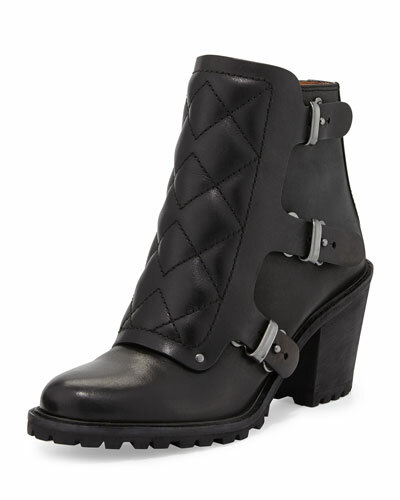 Not just for bikers, the motorcycle boot is a hip and edgy alternative to the plain old flat boot. You can take this trend as far as you like with embellishments. 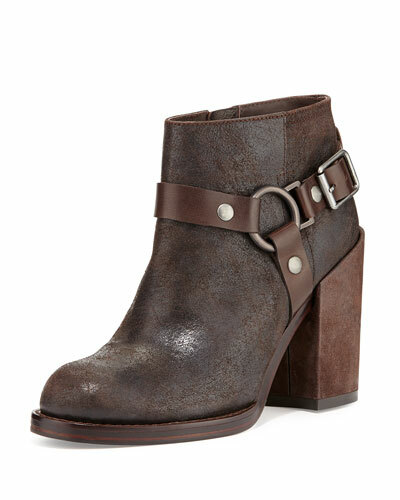 If you want to make a statement, choose a boot with studs and buckles or you can keep it simple with a single strap. Whatever you choose, a leather jacket will definitely complete the look. 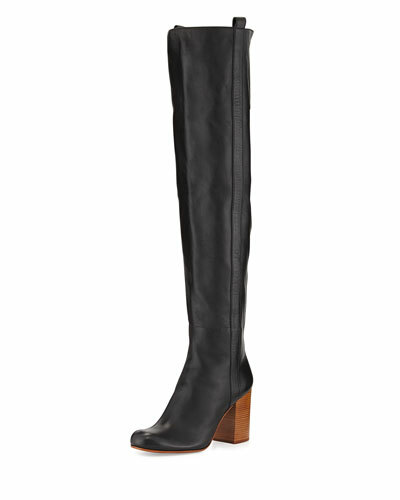 The Over the Knee boot is a style that anyone can wear. These boots go with skinny pants, skirts or dresses. Whether you choose to go for the flat or heeled version, just be mindful of what you pair on top. Think A line or flare, not fitted. Also, keep skirt lengths to the knee or beyond, anything shorter may read “woman for hire” if you know what I mean.